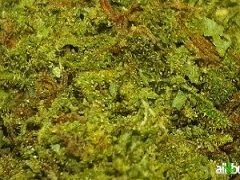 This indica-dominant hybrid (20:80 sativa/indica ratio) is fairly potent, with THC levels reaching 20%. As its name suggests, it tastes strongly of blue cheese, giving it a flavor distinct from other Cheese varieties. The aroma is a mix of blue cheese and sweet blueberries. 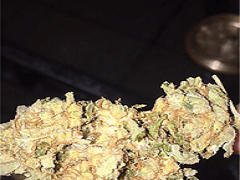 The original Cheese strain, which was first bred in the United Kingdom, was bred with a Blueberry male, resulting in a name and a strain focused on the blue. The same definitely can’t be said of the high, a mix of joy and euphoria with deep-body relaxation. 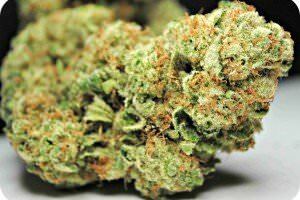 The indica is very apparent in the body high, while the sativa portion keeps the strain lively. 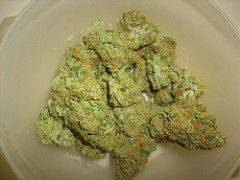 Blue Cheese is a good choice when treating anxiety, depression, or pain, but it also works well on migraines, PTSD, ADHD, and bipolar disorder. Insomniacs can find strong relief in this strain as well. Dry mouth is possible, as are dry eyes. This strain is relatively easy to find in Colorado and the West Coast, less so elsewhere. Cheese and its offspring remain mostly a British phenomenon, but the unique flavor and aroma, coupled with a stress-reducing high perfect for late nights.